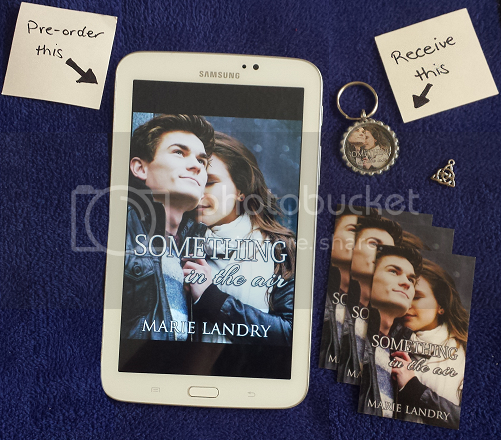 My 7th book, SOMETHING IN THE AIR, comes out Tuesday November 10th (4 weeks from today! ), but it's available now for pre-order. Anyone who pre-orders the ebook (it's just $2.99!) and sends me proof of purchase, along with their mailing address will receive a special swag pack from me. This is open internationally. Want to know more? Keep reading! *Bottle cap charms made by Jessica Sankiewicz at Impulsivities. Be sure to check out her shop!